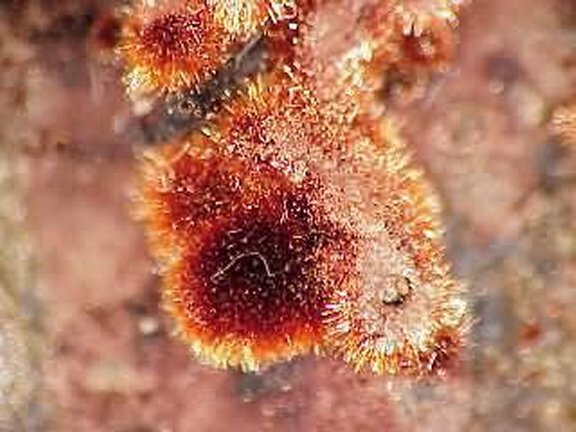 Comments: Deep red, vibrant, radial micro crystals of metahewettite to 3mm in diameter on matrix. Location: Cactus Rat mine, Grand County, Utah. Scale: 4 x 4 x 2 cm.